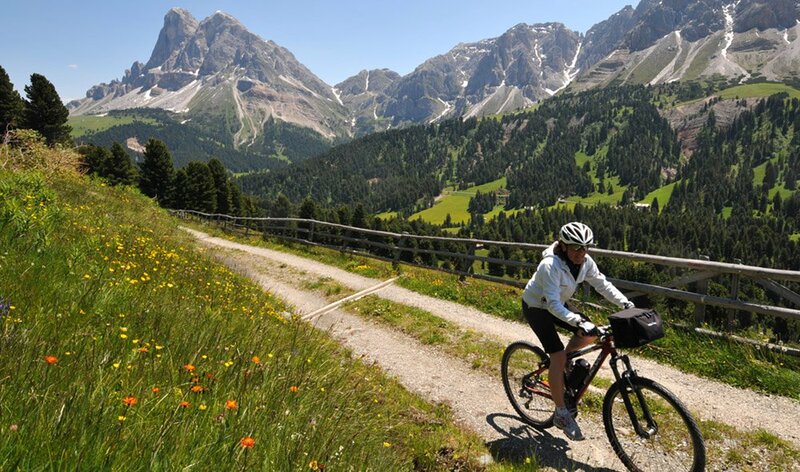 The most beautiful cycling and mountain bike tracks, which South Tyrol can offer, are crossing the valley of Eisacktal and the enclosed apple high plateau. Passionate cyclists and nature enthusiasts will find the perfect conditions for an unforgettable cycling holiday among the picturesque Mt. Plose in South Tyrol. The mountain landscape of Mt. Plose with its different altitude profiles, is suitable for families with children, as well as for challenge seeking professional cyclists. The cycle paths of Eisack Valley, which leads over the apple-plateau, is considered to be one of the most idyllic cycle paths on Mt. Plose. Especially in the spring time, when the orchards are in full bloom, this route provides an unforgettable view on thousands of rose-white blooming apple trees. 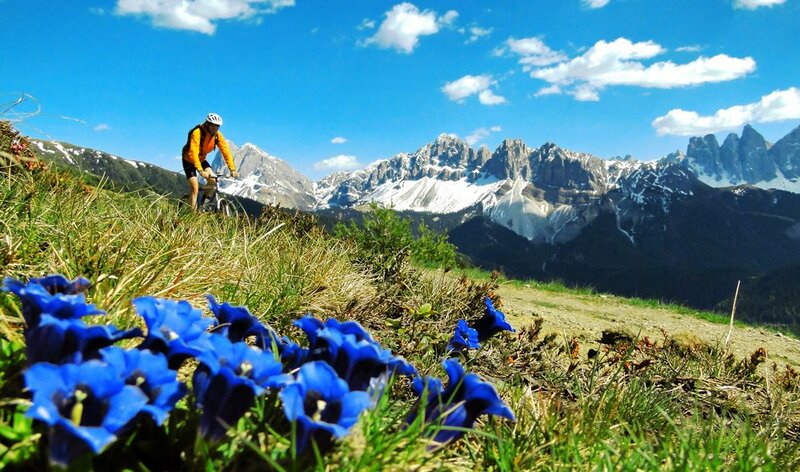 Two of the most important and popular cycle paths of South Tyrol, are the valley cycle paths Eisack Valley/Wipp Valley and Puster Valley. On these paths it’s possible to enjoy long distance tracks and day tours within the cycling holiday. Those who bring enough energy and endurance, can take an extended cycling tour up to the Rodenecker Alm or into the Lüsner-Valley, and be welcomed by blooming fragrant alpine grassland and an overwhelming mountain panorama. A beautiful sight, that you won’t easily forget. 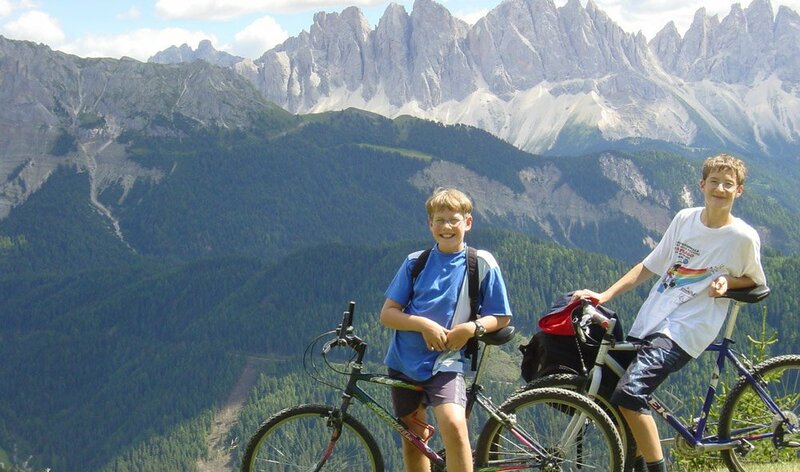 Ambitious mountain bikers can reach from Brixen over the Eisack Valley cycle path the mountain chain of the Dolomites: not only challenging routes are waiting there, but also fantastic views. The CAIdom is considered as the most challenging tracks for mountain bikers. This path leads 13km from the Cai mountain hut on the very top of Mt. Plose to the Domplatz in Brixen. Every year several hundreds of brave cyclists plunge down the steep track to achieve the title “King of Plose” or “Queen of Plose”. The domCAI is the contrary challenge, it starts from Brixen and ends at the Cai mountain hut. The competition is to master 2.000 metres of difference in altitude on wild hillsides and challenging forest paths.